Breaking news....MPP update at the annual convention. A letter from your NSDA President Bill Thiele (click here). Many changes have been happening with the Margin Protection Plan. Marin Bozic will give an update via webinar with the latest information on the Margin Protection Plan beginning at 11:30 am at the annual convention. 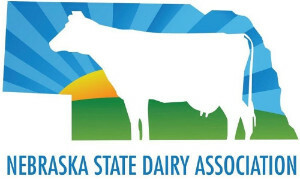 We are excited to offer a Communication’s Workshop at the Nebraska Dairy Convention from 2:30-3:30 pm on Tuesday afternoon. We hope that you can attend and learn more about the benefits of using social media to promote Dairy and get some hands on experience. Please take a few minutes to answer the following survey so we can gain an understanding of your current level of experience in utilizing social media (Facebook, Twitter, Instagram, Snapchat, Pinterest) . The survey will be open until Friday, February 23rd. Click here for the NSDA Annual Convention registration form. Click here for the 2018 NSDA membership form.